Hello and welcome to the final post in the SOLIDWORKS Composer Quick Start Guide, a video series intended to orient new users in SOLIDWORKS Composer and walk them though the basic features of the software. Throughout this series, we’ve walked through how to create a variety of informative deliverables from your CAD assemblies, including animations, technical illustrations, exploded views, and more. In this final three-part installment of the Quick Start Guide, we walk through how to embed your SOLIDWORKS Composer files into PDF, Word, and HTML. Exporting your documents turns your SOLIDWORKS Composer files from technical documents to deliverables ready for mass distribution. 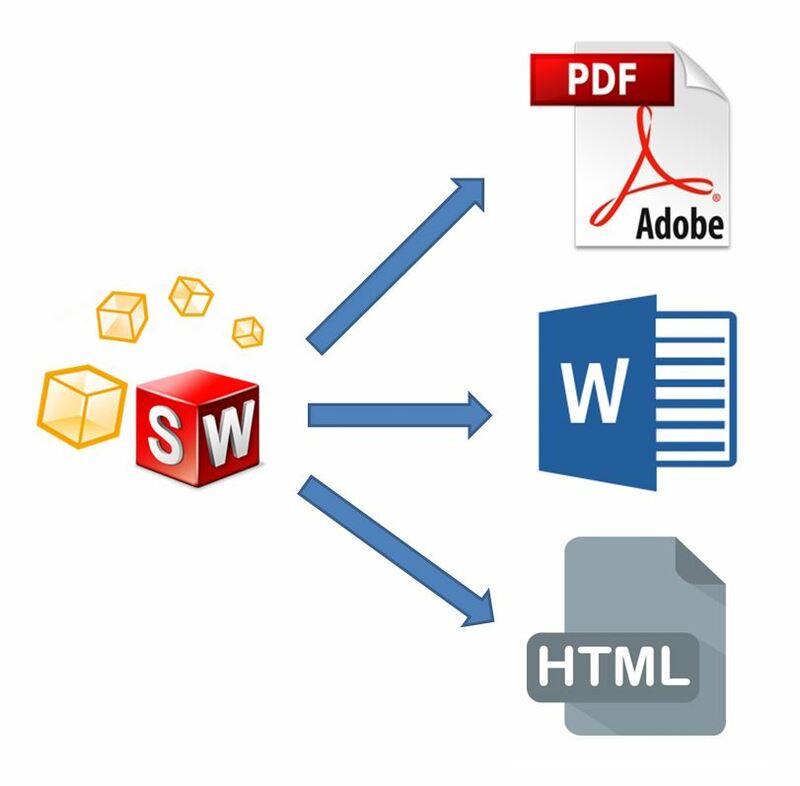 You do not need to own a SOLIDWORKS Composer license to access a SOLIDWORKS Composer file embedded in a PDF, Word or an HTML document, making it a great way to share your models with those who may not have access to SOLIDWORKS software. Files embedded in PDF, Word documents, and HTML files offer a variety of functionality, allowing users to navigate their assembly in 3D space, select views, play animations, and more. These files can be exported in SOLIDWORKS provided default templates, or can be embedded in your own templates for additional customization. Look at the videos below to get acquainted with the basics of publishing to PDF, Word and HTML. And that’s it for the Quick Start Guide! With all this information, you should now be able to create a variety of deliverables from your CAD assemblies. We hope you found these videos helpful.